ALL Eris Bounties, PS Exclusives, & Swords! If you haven’t already seen the patch notes, you can read those here. There was a lot of changes and improvements today! Our database also has all of the new Exotic changes, and we’ll be doing updated reviews for many of these weapons. What you didn’t seen in those patch notes are all of the new Eris Morn Bounties, and a few other interesting items. This is most likely all of the bounties that will be available at launch, though more could still be added after Eris has been unveiled on December 9th. Atonement* Rapidly kill 3 Hive with a special weapon, 5 times. Death will reset your progress. Blades of Crota Hunt the Knights who serve as Blades of Crota on Earth and the Moon. Bonebreaker Kill Hive Wizards with Shoulder Charge. Boneshaker* Kill 7 Hive at once with Fist of Havoc. Chase the Dark* Kill Hive with Axion Bolt. Cut Them Down Kill Hive using a Blade’s sword on Earth. Cut to the Quick Rapidly kill 10 Hive with Arc Blade. Deadshot Collector Kill Hive with precision damage while under the effect of a Black Wax Idol. Hard Fall* Rapidly kill 4 Hive with a heavy weapon. Death will reset your progress. Husk Reaper Collect Husk Shards by defeating Hive on any destination. Illuminator Generate Orbs of Light. Let’s Dance* Rapidly Kill 7 enemies with a Melee attack. Light the Dark* Rapidly Kill 10 Hive with Grenade abilities while under the effect of Radiance. One of Us Kill Hive Majors and Ultras with any of Eris’ class items equipped. Out of Sight* Kill Hive from behind. Purifier* Kill 7 Hive at once with Nova Bomb. Shine a Light* Use a Solar or Arc ability to kill any enemy. Siege of the Warmind Defend Rasputin in the “Siege of the Warmind” mission on Earth with the Heroic modifier active. Sleight of Hand Defeat Hive with precision damage using your throwing knife. The Cleansing* Kill any Majors or Ultras in a Nightfall activity. The Unseen While invisible, land the killing blow on a Hive Wizard with a Sniper Rifle. The Wakening Stop the Hive from summoning Crota’s soul in “The Wakening” on the Moon with the Heroic modifier active. The Will of Crota Exterminate Omingul and her spawn in The Will of Crota Strike on Earth. Unwavering Light* Complete 5 bounties in a single day. 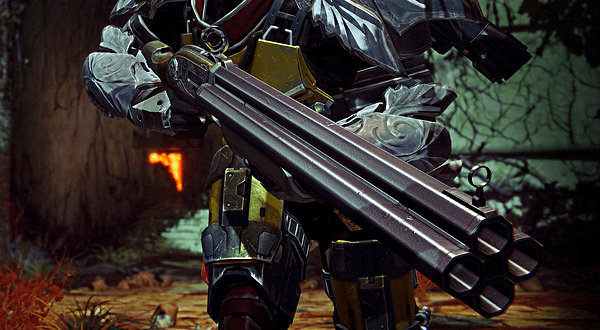 Warlocks can sleep easy now (see: comments), knowing there’s bounties specific to their class! Remember the sword gameplay we saw awhile ago? Now we can use the sword ourselves! This “Blades of Crota have invaded this world” mini-event allows us to use a Blade’s sword for a short time. It appears that these events are happening on the Moon as well as Earth. First of all, let’s talk about the item Bungie has already announced: the Exotic Shard. 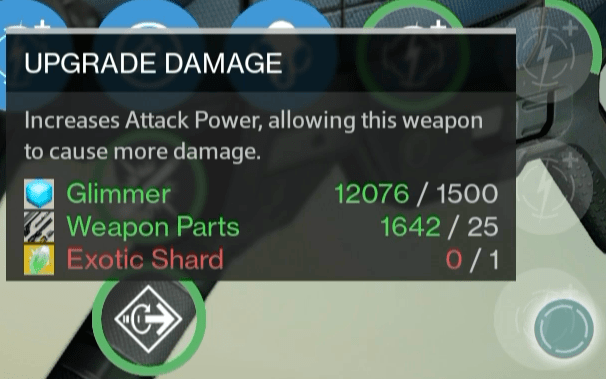 As you’ll notice, Exotics no longer require any Ascendant materials, making them slightly easier to upgrade. This item will be used for the final upgrade node in any Exotic. They’re obtained from Xur for 7 Strange Coins, or by breaking down an Exotic (1 per Exotic, or 2 if it’s fully upgraded). Ascendant Materials won’t be going anywhere; they’ll still be needed for Legendary gear. While technically not a new item, The 4th Horseman Exotic shotgun has received a name change from “Sweet Business” and is also confirmed to be coming in The Dark Below! 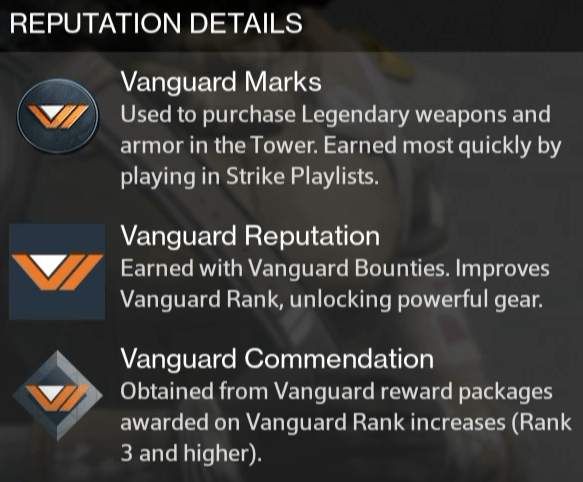 Items that weren’t actually mentioned in the patch notes, are the Crucible Commendation and Vanguard Commendation. 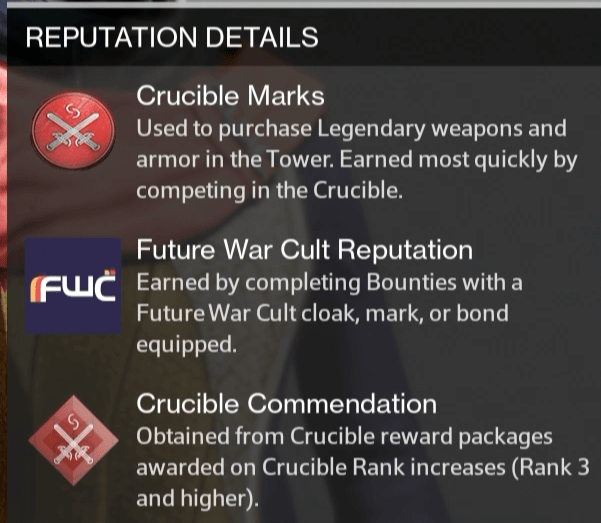 Based on the description in-game, it looks like we’ll get these reward packages once we rank up – but we’ll need to be rank 3 or higher to earn them. This is probably just a different name for what was already implemented in the game. There were a few seemingly random armor pieces added to the database as well. These are probably the rewards from The Dark Below package. We published a video a couple months ago showing off some of where it’ll take place, before its name was changed. 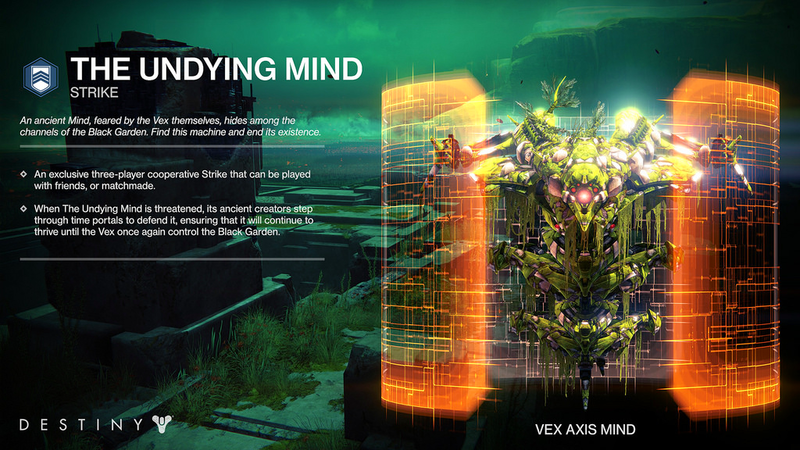 Step back into the coveted dangers of The Black Garden to face a timeless Vex machine-beast that has survived for ages. Prepare for firefights amidst vine-laden pillars and decaying paths in an effort to destroy the centuries-old evil.